Acer unleashes the Predator Helios 500 and Helios 300 gaming laptops. Features new designs, thermal technologies, overclockable GPUs. 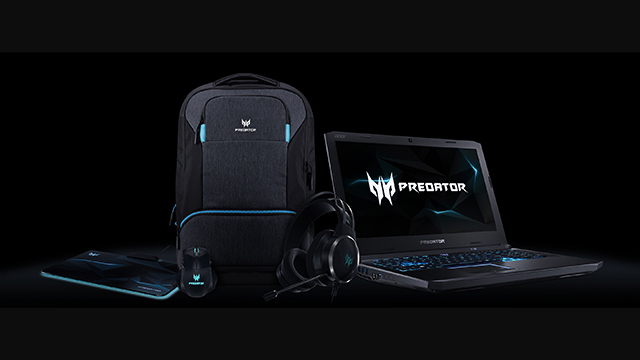 Acer recently unleashed two new Predator gaming laptops, the Helios 500 and the Helios 300 Special Edition. The former features up to 8th Gen Intel Core i9+ processors, while the latter up to 8th Gen Intel Core i7+ processors. The Predator Helios 500 is designed with extreme gaming in mind. The aforementioned up to 8th Gen Intel Core i9+ processor is overclockable, as is the GeForce GTX 1070 graphics card thats paired with it. For added speed boost, the laptop also features Intel Optane, an NVMe PCIe SSD storage, Killer DoubleShot Pro networking, and up to 64GB RAM. As for the display, the Helios 500 features a 17.3-inch IPS screen with options of either 4K UHD or full HD resolution. Users can also connect external monitors through its various port options — dual Thunderbolt 3, HDMI 2.0, and a regular display port. To stay cool, the laptop has two AeroBlade 3D metal fans, and five heat pipes that distribute cool air through the machine’s components. A backlit RGB keyboard is also available and offers four lighting zones with support for up to 16.8 million colors. The Predator Helios 300, on the other hand, is friendlier on the budget. The Special Edition model features an all-white aluminum chassis with gold trim accents. It comes with a 15.6-inch full HD IPS display with up to 144Hz refresh rate. Inside, it is powered by an up to 8th Gen Intel Core i7+ processor, paired with an overclockable GeForce GTX 1060 graphics, a 16GB DDR4 RAM, up to 512GB PCIe Gen 3 SSD, and up to 2TH HDD. The laptop also has Intel Optane, Gigabit Ethernet ports, and Gigabit AC Wi-Fi. For cooling, it has two ultrathin all-metal AeroBlade 3D fans, which can be controlled by the PredatorSense app. According to Acer, prices and availability will vary by region. If you’re interested in getting one, you may contact the Predator Gaming office nearest you.